The Sercial style is the driest of all the styles of Madeira and made from the Sercial grape variety. Originally a mainland grape, it is compact and thin skinned and ripens late, often making harvest around October time. It has very high acidity means that it needs the longest time to mature but results in an intensely fresh and citrussy wine that can last for decades. Light golden tawny in colour, the palate starts with lemons and oranges and develops nutty flavours with maturity. The vineyards are located both on the north and south side of the island. At south, we find it at high elevations in Jardim da Serra, above Estreito de Camara de Lobos, between 600m to 800m high, and at north, in the areas of Porto Moniz, Sao Vicente and Seixal, at lower altitudes, between 150 to 200m. Sercial bunches are medium sized, thin skinned and the berries are prone to rot. It has a very late ripening and is resistant to oidium and mildium, being normally the last grape variety to be harvested. This slow maturation, the result of the terroir where it is grown, produces wines that rarely achieve more than 11% alcohol before fortification. In Madeira Wine, due to its natural mouthwatering, tangy, crisp and racy acidity, balanced by its slight sweetness, Sercial is always used to produce dry wines, which are light bodied and exceptionally fresh, and present intense and vibrant aromas. Sercial begins its life pale in color, but over the course of time it deepens and darkens to amber. It is not only an extraordinary aperitif or after-dinner wine (Colheita and Vintage) as it is the only Madeira Wine that can as well, if young, be enjoyed along a meal. Sercial is often served as an aperitif, and can be enjoyed lightly chilled, and accompanied with salted almonds, olives, smoked fish and oysters as well as cured meats. it is particularly pleasant with lighter cheeses such as goats cheese and other dry astringent cheeses such as feta. Sercial is one of the few wines that can work with Chinese as the high acidity and dryness compliment the cusine. Another excellent combination to enjoy Sercial is with sushi in general. The light delicate notes of Sercial will not overpower the delicate flavours of seafood. 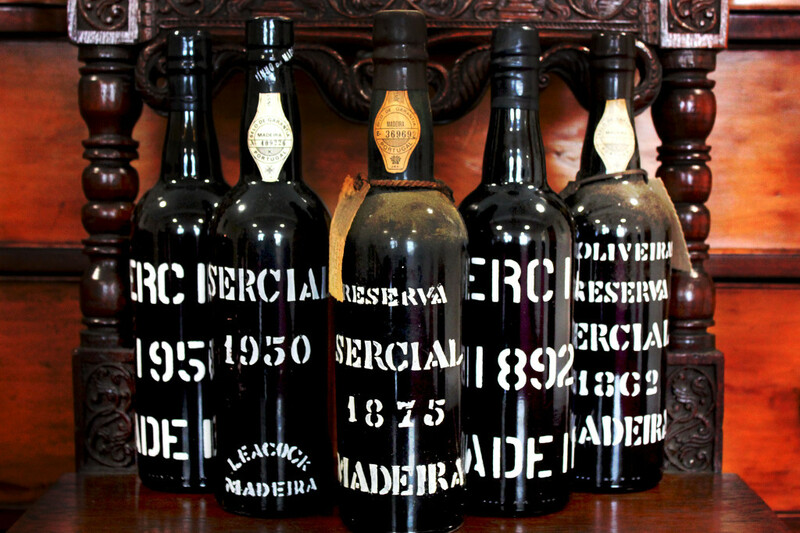 18 Sercial Madeira Wines found.